Malty Tasking Heirloom Brewing Paddles! 3/4" Solid White Oak! Fatigue reducing oval cutout! Your Name Engraved for Free! Heirloom Quality! A Very Sturdy 36” long MASH Paddle! Do you want a free leather hanging strap? Please type the name to be engraved free here. Add another name to the other side of your paddle for only $10 extra! For the other side, type club name or other name to be engraved here. Add the BJCP logo to one side for $5 extra! 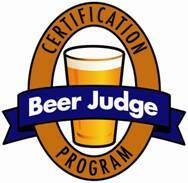 Free (with purchase) beer fridge magnet to all certified beer judges! With my appreciation for your service in the name of BEER! Enter your beer judge BJCP number here.